Regent International School, (RIS), is a well reputed educational institution with a rich history of over twenty five years. RIS is a Foundation Stage to Year 6 school that follows the National Curriculum of England and is located in Dubai, UAE. 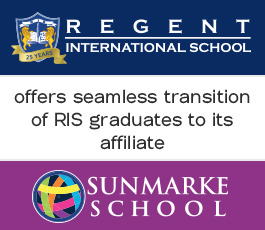 Children graduating from RIS have a automatic entry to the Secondary phase of our affiliate, Sunmarke School, located five minutes from RIS. RIS is a leader in Positive Education (PosEd). PosEd is characterised by outstanding teaching underpinned by the science of positive psychology, well-being and happiness. Our unique PosEd philosophy combines academics and achievement with character development and well-being. Our pedagogy is further enhanced by a high impact educational programme of MultiSmart LearningTM, developed by our educators, that nurtures multiple intelligences and triggers all-round development - readying children to take on the challenges of the 21st century. We are proud of our long-standing tradition of developing bright, resilient and compassionate individuals who are able to succeed anywhere in the world and also have a drive to make a positive change to society. RIS has a tradition of cultivating lasting human values in children while being at the forefront of academic innovation, which ensures our students are well-equipped for their future, both intellectually and spiritually. With over 86 nationalities, cultural diversity is one of our greatest assets. Children bring with them their own cultures and interests, and learn about, celebrate and appreciate other cultures with the security of developing their own individuality. 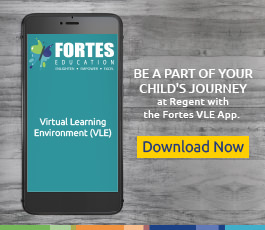 RIS is part of Fortes Education, a school provider with over two decades of educational experience. RIS is conveniently located in Emaar’s “The Greens” community of Emirates Living.